Hiring a servant, no one knows what to expect from her. 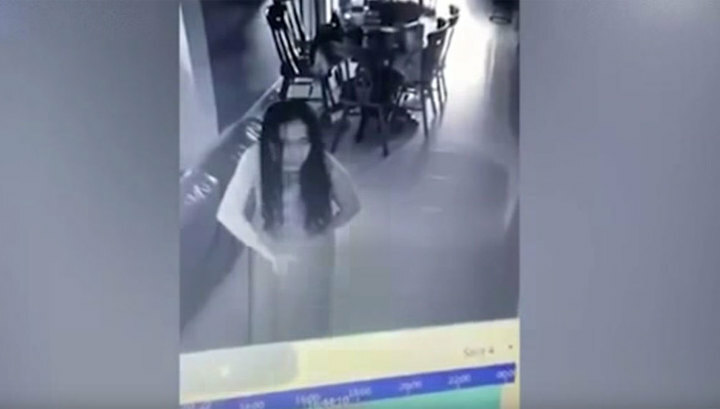 Here in Singapore, the landlady noticed strangeness in the behavior of her hired worker and installed hidden cameras in the apartment, and when she looked through it she came to an indescribable horror. The housekeeper behaved as usual, then went to the shower and emerged from it a completely different person. The behavior of the woman changed radically and she wandered around the apartment, shouting out some words, waving her arms strange, with a terrible face and talking with an invisible interlocutor. She behaved like a real zombie or as possessed by demons. A housewife zombie mistress of course fired and was very happy that at the time of turning a good nanny into a terrible beast in the house at the time missing her mother and child who went for a walk.